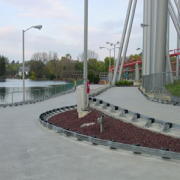 Thunder Creek Speedway in Dorney Park, a go-cart track in Allentown, PA, had a sound problem. The track, located in a residential area, was receiving numerous and ongoing complaints about the PA system on the track. In order for drivers to hear instructions and announcements over the noise of the car engines, track officials had to increase the PA system volume to a level considered offensive by their neighbors. Listen wireless audio … applications that can really go places. Story originally printed in November, 2002 issue of System Contract News, by Travis McGee. As a time-honored summer tradition, the Great Falls Business Improvement District (B.I.D. ), auto dealer Bennett Motors, and KLFM 92.9 oldies radio sponsor Cruisin’ the Drag, a popular classic auto show. The show spans about nine blocks right in the heart of downtown Great Falls on Central Avenue. It features classic restored automobiles on display from all over the nation. 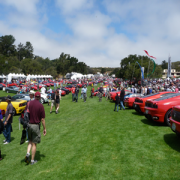 The event, which has steadily grown from 300 – 600+ cars in its 4-year history, drew about 9000 people in 2004. This one-day event, like many others in the area, brings much needed business the downtown shops and eateries. The Great Falls B.I.D. had been renting a cabled audio system to broadcast sound around the downtown blocks for their events, which cost thousands of dollars each time. While the system adequately distributed the sound, it required tripods and a multitude of cables on each block. All that cabling also required considerable time to install. With all the many events the B.I.D. hosts throughout the year, this audio solution was cumbersome and costly on an annual basis. Great Falls B.I.D. was looking for an easier and more affordable way to spread sound around downtown. Great Falls B.I.D. brought in local audio guru Mark Pritchard of Mountain Sound Project to take on this challenge. Using his technical knowledge of audio products and his own mechanical skills he devised a weather-proof wireless audio distribution system that has quick to set up and was affordable enough for the client to purchase outright. The key technology that made Pritchard’s solution possible was wireless FM transmission available from Listen Technologies Corporation. In the central control box, Pritchard had various audio sources plugged into Listen’s LT-800 Stationary FM Transmitter, rack mounted with the other equipment. The transmitter would send sound out to LR-100 Stationary Receiver/Power Amplifiers located in speaker clusters which mounted to the old-fashioned lampposts around the downtown area. In addition to the LT-800 Transmitter, the central control box also included a sound mixer, a CD player, a wireless microphone, an AM/FM tuner, and a cassette deck offering virtually any media to the users. Volume for the whole system is controlled from this box, which is usually located right in the middle of Central Avenue for downtown events, but can be set up anywhere. The speaker clusters, which can be installed in less than a minute and a half, include the LR-100 Receiver/Amplifier, two JBL speakers, a Stuart 2-channel power amplifier, a fan, and an on/off switch. He fabricated steel brackets and weather proof boxes for these clusters. During the winter holidays, the system was left up for four solid weeks, without any problems. A single power cable plugged into an outlet on the lamppost provides power for each of the components. Two clusters per block are staggered in the six-block downtown area. 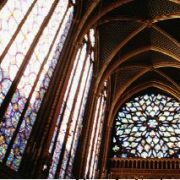 Dismantling each cluster takes less than a minute – and B.I.D. volunteers can do it all themselves, no special labor is needed. The system as a whole is ideally suited for a wide variety of community events. Because it is so easy to install and is so portable, the system can be used virtually anywhere, such as the parks and civic center, and anytime. The versatility of the central control box enables the B.I.D. to broadcast background music, radio remotes, announcements, commercials, and more. In fact, during radio remotes the AM/FM tuner broadcasts the remote as it comes across the radio station. In addition, the radio personalities will cut over to the microphone for the central control box to make special announcements just for those in the downtown area. Great Falls B.I.D. Director Greg Madsen reported that this innovative audio solution has worked beautifully since its birth at the Cruisin’ the Drag event. The clusters have worked flawlessly despite temperatures of nearly -30 degrees in the winters and 105 degrees in the summers. Purchasing a system saves them a lot of money over time. Plus it has helped increase revenues to downtown business. The Great Falls B.I.D. 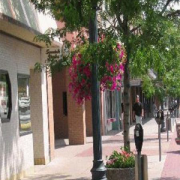 has continued using this easy and affordable solution for a host of other events to help rejuvenate the downtown area, including its Annual Downtown Summer Sidewalk Sale, the Christmas Stroll, and First Night festivities. It’s another hot weekend that finds ten students of Las Vegas-based Trojan Horse Training dressed in smart jodhpur trousers and show jackets, and competing in jumping and dressage* events with their equine companions. In the warm-up arena, a handful of trainers busily chase and call out final instructions to their dozens of students competing that day. The result is little more than a shouting match – each instructor trying to get the attention of his or her riders and communicate the corrective actions. For expert trainer Gina Tatom, who sits outside the arena, her instructions pierce through the chaos to her students with crystal clear reception. Tatom uses a portable wireless audio system from Listen Technologies to train and coach more effectively. Tatom first saw wireless audio technology being used by internationally acclaimed training moguls Pat and Linda Parelli. 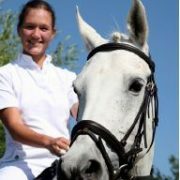 She immediately recognized how audio technology could aid her training program and started an extensive search for an affordable system that could withstand the rigors of her business, which spans from horse breaking and problem behaviors to show jumping. After passing up expensive professional systems and flimsy residential systems from the local electronics store, Tatom tried a Listen Portable FM System by taking advantage of the manufacturer’s free 30-day demo program. Between her private lessons and weekend shows, she put the Listen system through the wringer ensuring it could hold up to the demands of equine arts. Listen gave a blue-ribbon performance and the lifetime warranty gave her the additional assurance that she would always have functioning equipment should something go wrong. Her satisfaction met, she purchased her own Listen Portable FM System which includes one LT-700 Portable FM Transmitter and four LR-400 Portable FM Receivers. The body pack styling enables the users to clip the units to their belts, allowing free movement for both the coach and the student. Tatom wears thetransmitter, which is equipped with a headworn microphone, and the students tune in with their receivers and headphones. “The Listen system is great! I love having it,” said Tatom, whose passion and drive have earned her a reputation of never-ending energy. “My work is not as exhausting now because I can coach while sitting in the shade outside the arena instead of following my riders around. Plus, I don’t have to shout anymore.” Tatom further explained that in windy conditions especially, it’s difficult to hear a trainer even if she’s shouting. From the trainer’s perspective, Tatom reports that her students are able to learn more quickly during their lessons because they can hear well. They save time because there’s no need to repeat instructions. To top it all off, her clients get more value for their money because the audio technology allows them to make the best use of their training time. Thanks to the solid performance of Listen’s Portable FM System, Gina Tatom gets all-around winning results with her students at Trojan Horse Training. *Dressage (pronounced dreh SAHZH) is the guiding of a horse through a series of complex maneuvers by slight move­ments of the rider’s hands, legs, and weight. The Bridge to Bridge Waterfront Festival is a timed race for boats on the Sacramento River. Along with boat racing there are Jet Ski races, Coast Guard rescue demonstrations, and other festival activities. Seating and events are held on both sides of the river. For the 2nd Annual Bridge to Bridge Waterfront Festival, Keith Wackford of Associated Sound was asked to set up a sound system that could be used on both sides of the river. Traditional sound system wiring could not be used because of the river’s width (about 500 feet). The show also had boats and helicopters, each with its own radio system, moving in and out of the reception field. A Listen wireless audio system proved to be the answer. Wackford and his team recommended the Listen LT-800 Stationary Transmitter and the LR-100 Stationary Receiver / Power Amplifier. This system had two advantages: it could broadcast the event’s audio to the needed locations without wiring, and it provided auditory assistance via personal receivers to individuals who were hard of hearing. To increase the transmission range and signal strength, the team installed Yagi (high gain) antennas on the LT-800 and LR-100 units. Testing at Associated Sound revealed that the system could broadcast up to 2,000 feet without problems. The system performed beautifully for the entire two day event. The festival directors were overjoyed by the audio quality and the fact that there were no reception problems all weekend. The audio was clean, full, and loud. 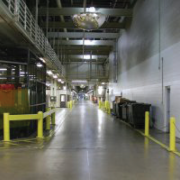 Listen wireless audio products were able to provide not only a workable solution for a problematic installation, but one that offered flexibility and quality performance as well. Each year thousands of snow enthusiasts glide down the slopes and half-pipes at the award-winning Sundown Mountain Resort in Dubuque, Iowa. A ready team of resort staff patrol the terrain to assist with emergencies and lost skiers, instructors are busy helping first-timers learn the basics, and lodge personnel attend to the skier’s and boarder’s equipment, appetite, and transportation needs. To support all these efforts, the resort uses a public address (PA) system to make important and sometimes urgent announcements across the slopes. For some time, however, their existing, hard-wired PA system has been plagued by a constant “buzz” from stray voltage contaminating the system. This made sound intelligibility next to impossible. With the help of Lifeline Amplification Systems (Platteville, Wisc. ), Sundown acquired an ideal wireless audio solution with a Stationary FM System from Listen Technologies. 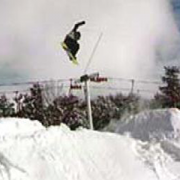 Although the resort’s Board of Directors was initially hesitant to try something during the ski season, they were won over by Listen’s clear sound quality, ability to utilize existing equipment, and low price – 75 percent less than the other solutions they considered. 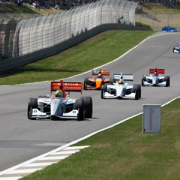 When the Indy Racing League (IRL) scheduled a circuit race at Barber Motorsports Park in Birmingham AL for the first time in April of 2010, audio was the last subject on the to-do list. After the race was completed, it was very clear that audio would now become mission number 1 before securing the next race date in 2011. Broadcast audio and integration was problematic and the complaints on the public address system’s quality and volume were to be addressed immediately. It was decided to renovate the audio system entirely. The challenge at hand was to get audio from the track’s paddock to the far reaches of the track’s seating areas. The original installation utilized fiber transmitters and receivers that cost nearly $2,000 each end. Some of these were in place and being used for track communications. It was decided that there had to be a less expensive way. A number of solutions were presented; Fiber Transmission, CAT5 Networking, Copper Cable Runs, and Wireless Audio Transmission were all considered. 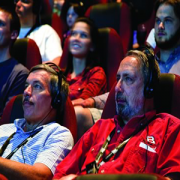 When the cost totals were submitted to the track’s management, it was abundantly clear that wireless audio transmission from Listen Technologies would be the economical way to go. The question was asked about audio quality. “No FM audio can sound as good as a copper or fiber run” and “That’s too far to send wireless audio and it still perform” were some of the challenges. Lee Brock, an audio engineer for Music Alley in Birmingham AL suggested we demonstrate Listen’s product to prove the audio quality and transmission can be up to par with the rest of the new audio system. The demo was very easy and quickly put minds to rest on the audio quality. The system containing Rane’s RPM88 for signal processing and switching simply fed Listen transmitters for sending audio to the remote zones located around the track. In each zone, a receiver and amplifier were installed to feed the 70 volt runs totaling over 120 speakers along the crash fence and covering the various seating areas. The Listen solution came in at a fraction of the cost for other networked audio systems that were proposed and the track happily boasts about it’s new addition to the technology of this unique race track. Associated Sound’s rental department saw the benefit of Listen transmitters and stationary receivers as far back as 2000.Our rental department started using the LT-800 Stationary Transmitters at the USA Olympic Track & Field Trials to get sound from the main track to the adjacent practice track. To run wire we would have had to use over 200 ft. of yellow jackets “cable covers” in the pedestrian areas; it simply wasn’t practical and wireless was much easier. The total throw from the main PA location to the remote locations was about 600’ as the crow flies. It worked great and we knew these would become invaluable in our rental inventory as you simply don’t know what you have to work with until you are “on site”. This year Associated Sound’s rental team Josh Bender, Ross James and Will Updegraph did the Concorso Italiano at Laguna Seca Golf Course. Each year, Concorso Italiano attracts over 40,000 automotive enthusiasts to celebrate their passion for vintage, classic and exotic automobiles and their iconic designers.The show covered over two fairways and is the largest show dedicated to Italian cars in the world. This year’s event had around 1,000 cars on display.Event organizers aim to create a festive Italian atmoshpere and audio is certainly a part of the atmosphere. By using the Listen wireless audio products we eliminated hundreds of feet of cable and covers and provided a better result for our clients. The Shriners Hospital Concours in Sacramento moved to a new location on the Capitol Mall in Sacramento and once again Associated Sound was called upon to deliver great sound.We needed to get sound from 5th Street to 10th Street and we had two light rail crossings to deal with. Wireless was the only solution and we had positive experience with the Listen LT-800 Stationary Transmitters which worked flawlessly sending signal to remote amplifier locations. A secondary benefit of using the Listen product is that we are able to bring our clients into compliance with the Americans with Disabilities Act (ADA) at the same time.